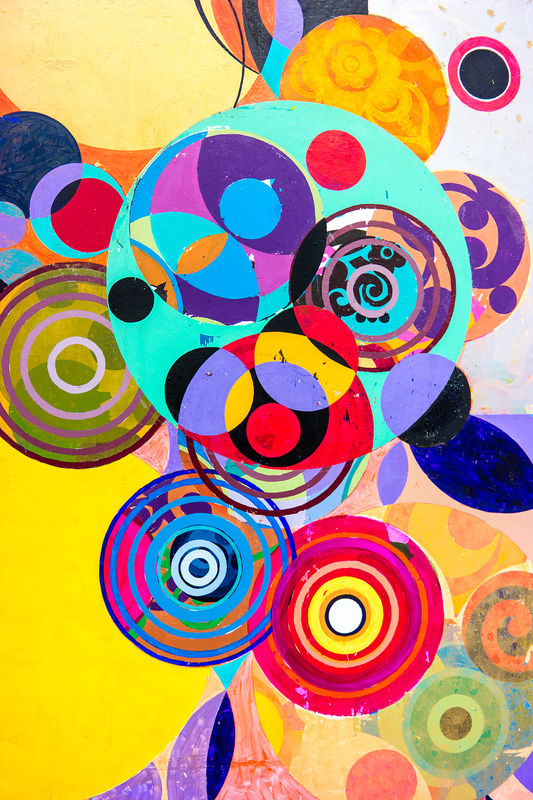 Beatriz Milhazes works in the pure aesthetic style of the Pattern and Decoration movement. Influenced by her native land of Brazil, her vibrant and bold use of color and patterns create work that is as much playful, free and psychedelic, as it is geometric, organized and rhythmic. The Pattern and Decoration movement was not originally popular in the art world because of the movements lack of political statements and stances, “art for arts sake:” “Though playful and innovative, especially in the use of materials, Pattern and Decoration didn’t make much of an impact in the art world. It was dismissed as frivolous, with the work regarded as purely decorative and thus not warranting serious critical or curatorial attention.” (NYT: Fresh Eyes on a Colorful Movement) What was deemed not worth talking about has now gained global visibility since its beginnings in the 70’s and 80’s. The Decoration and Pattern movement is not completely detached from society and the world around it. I feel the art, and artists involved, take a very positive stance that speaks not from the created politics and mottos of the mind, but from love and the appreciation for the beauty that surrounds us. And this philosophy of focusing more on the pleasures of life, rather than its hardships, is very evident in the shapes, colors and patterns of each of Milhazes’ piece.